People ask me sometimes, how in the world did Love Packages get started, anyway? Well, maybe there’s some of you, don’t even know what Love Package is. So let me start with that, first. At Love Packages, we collect used Christian literature—all your old Bibles, Sunday school materials, daily devotionals, Christian books, reference material, magazines, things that just sit around collecting dust all across the United States. We collect those things, and we sort them, repackage them, and ship them overseas to people who don’t really have very much at all. But I didn’t really know what to do with the stuff. You know, what I mean? I was ministering on the street at the time. In the middle of the night, I’d go out on the street and talk to druggies and drunkards. You just can’t go up and give someone a four- or five-year-old magazine in the United States and expect people to be thrilled about it. So I didn’t know what to do with these things. They’d go, “Wow, we’ve got a whole closet full of that stuff at our church! 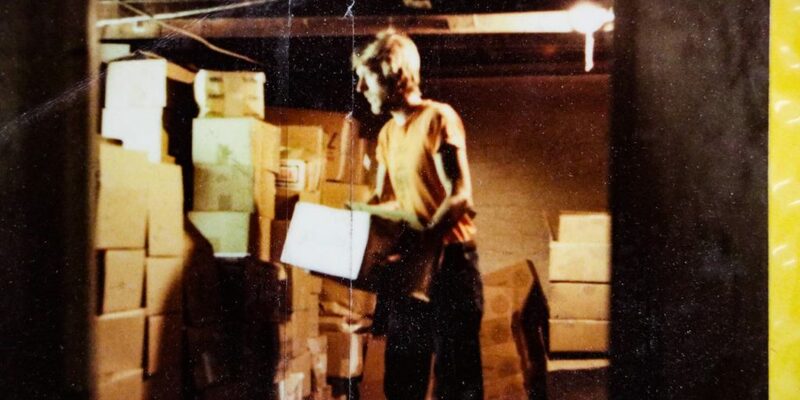 Would it be okay if we bring ours over to you, too?” And I said, “Well, yeah, I guess so.” So the first year my wife and I did 60 little boxes, little 12-pound packages, that we sent to those five men. Pretty soon we had people bringing it in from everywhere. That second year we did three-and-a-half tons, and then the next year we did seven tons, and then 11 tons. It started in the basement of my home. We outgrew the basement and went to a double car garage and outgrew the double car garage with 20-something tons that year. And every year it’s grown. The last four years in a row, we’ve sent over 1000 tons of literature each year. To give you an idea what that is: That’s enough literature for 50 million people to read every year. One thousand tons is 50 million pieces of literature. Now the people who do the statistics tell us that every piece of literature we put on the field—every book, every Bible, every Sunday school book—is going to be read by a minimum of 20 people. So 50 million pieces times 20 is a billion reads every year for the last four years. Are there materials sitting around collecting dust at your house or church? Bring or mail them to one of our locations and we’ll get them overseas! If you’re wondering how the material gets used overseas, read a few of the many testimonies we’ve received from distributors all over the world.